That was fast, less than a month after releasing the ColorOS v2.0.4i beta update for Oppo Find 7 and Find 7a users, the Chinese company now has a new update – ColorOS v2.0.5i beta that patches up some bugs, as well as introduces several “really cool features”. Based on Android 4.4.2 KitKat, the latest OS update from Oppo is available right now for Find 7 and Find 7a users. Available for download from the Oppo Forum, it’s 978MB large, so make sure you have enough battery and that you are connected to Wi-Fi. Do note that the update will wipe user data so backup your data using “backing & restore app” before updating. Data on your phone storage such as movies and photos will not be affected. So what’s new on ColorOS v2.0.5i beta? A whole bunch of changes apparently. 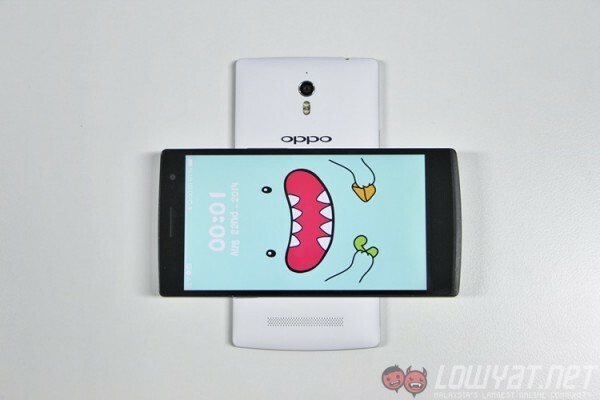 Oppo says that the changes are all based on user feedbacks and are catered to their need. On top of interface changes, say hello to a new App Batch Edit feature that lets you easily move multiple apps at the same time, Super Macro mode on the camera that lets you take really closeup shots, Customised Backup Location, more, and more. Check out Oppo’s preview video for an in-depth look at the changes. Check out Oppo Forum and read the details before updating.